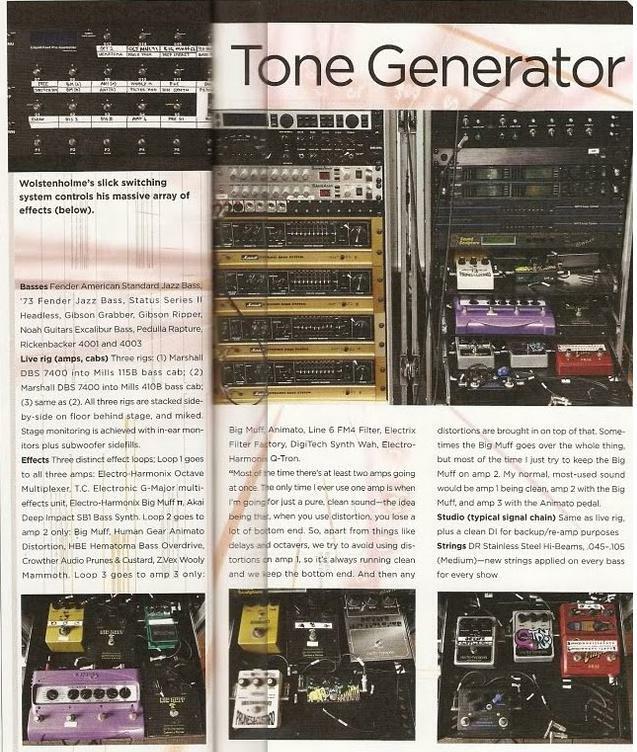 Josh Homme uses the Electro-Harmonix Octave Multiplexer Pedal in his guitar gear setup for the Queens of the Stone Age. The pedal was seen being used during the Resistance tour. 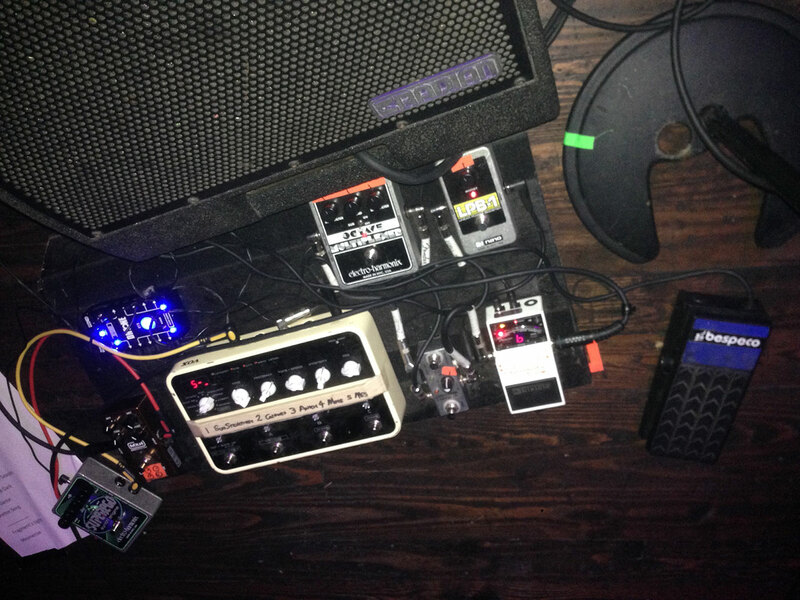 Bassist Thomas Warmsley's pedalboard includes the Electro-Harmonix Octave Multiplexer pedal. This photo was taken at a [Temples](http://equipboard.com/band/temples) show at the Parish in Austin, TX in Oct 2014. A little something to boost his distorted sound even further. 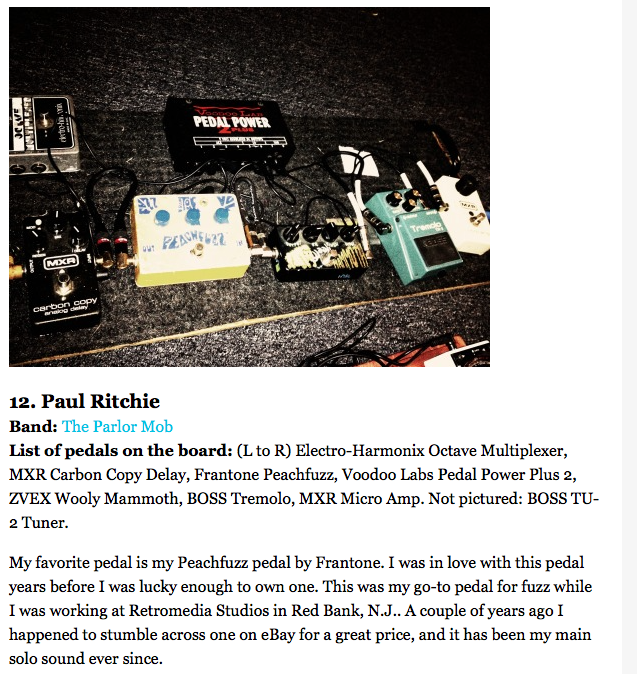 Paul uses an Electro-Harmonix Octave Multiplexer pedal, according to [this](http://www.pastemagazine.com/blogs/lists/2012/05/14-guitarists-talk-about-their-pedal-boards.html?a=1) Paste article. > The EH Octave Multiplexer is one of the few stock pedals in my collection. It sounds great with fuzz and phase for mean single note solos and such. I used to have the big box version but now I have more room for fuzzes! In this interview in The Globe and Mail, Paul Saulnier explains his sound on some of his songs, and says: “The impressively named Electro Harmonix Octave Multiplexer achieves the blender effect on *Get Over*‘”. to me the mutron octave circuit is the gold standard of 70s analog octave effect... that said the EHX multiplexer tracks poorly and has a relally clangy unantrul timber that's great as more of a splatty and ring moddy special effect sometimes. I'd still like to have a mutron but they're pricey thanks to neil young. I ave an old one of these and like many of my ehx pedals I don't like using them much because of the boxes and switches. this is another tonesucker too... but when recording its got a certain sumthin' sumthin'. for something analog but more hifi ona budget try an arion octave from the 80s . The plastic case is no flimsier than the old EHX sheet metal boxes and the arion sounds really good, tracks great... but as a psycho-grade special effect the multiplexer is super fun. Velcroey bass and claging high harmonics galore are in there when you get the high filter and blend setup right with the sub engaged. Too polite? try playing some doublestops instead of single note runs. The pog is comparatively polite. More useful? probably. But not to me.